Friday April 19th Closing Early @ 3 PM! Gym Rental Available for Tournaments! 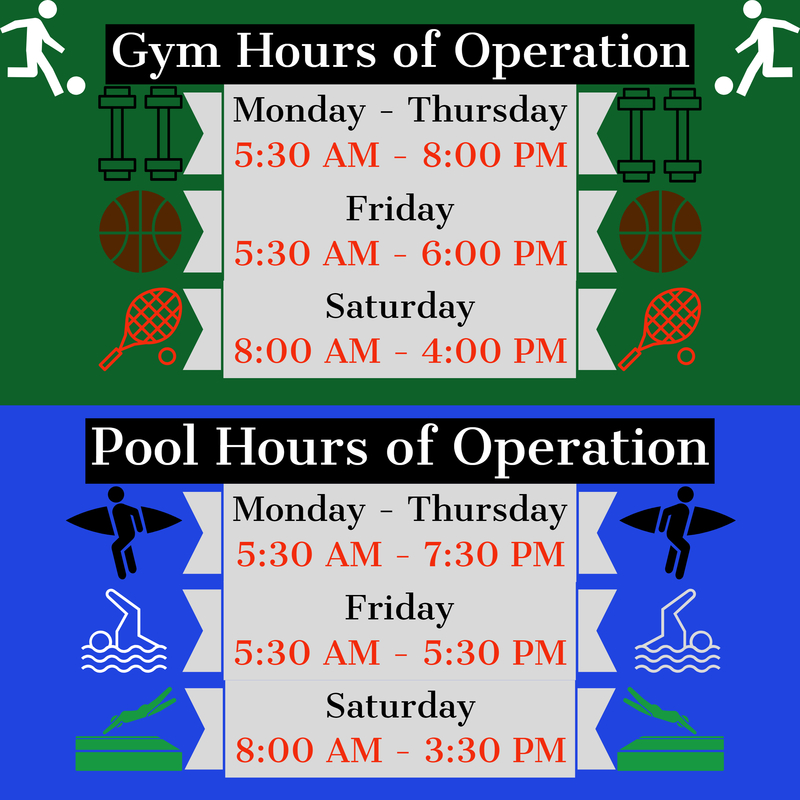 The Pueblo of Pojoaque Wellness Center updated hours of operation. We are glad to announce that we will be extending our weekend hours! 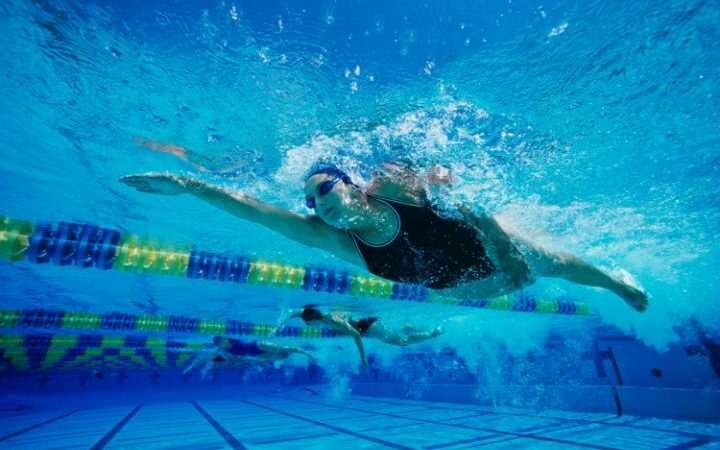 Pool Area will close 30 Minutes before Gym Area to ensure that pool patrons are be able to get ready. 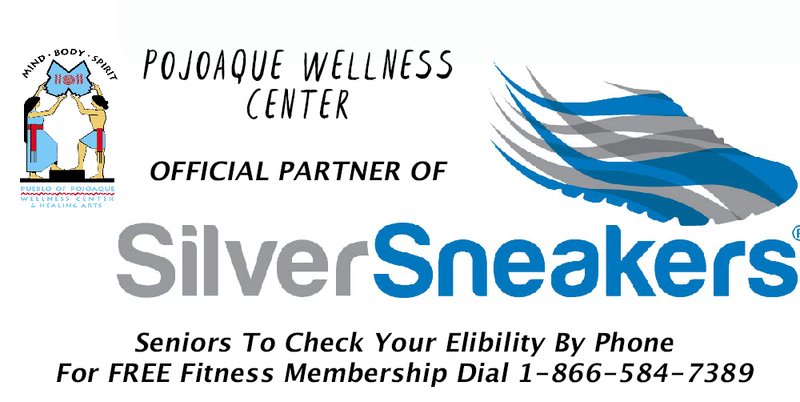 Pojoaque Wellness Center is now running radio ads on KDCE Radio. 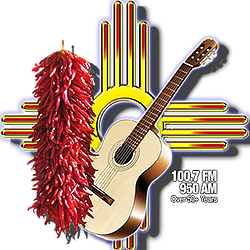 KDCE is #1 bi-lingual radio station in New Mexico. 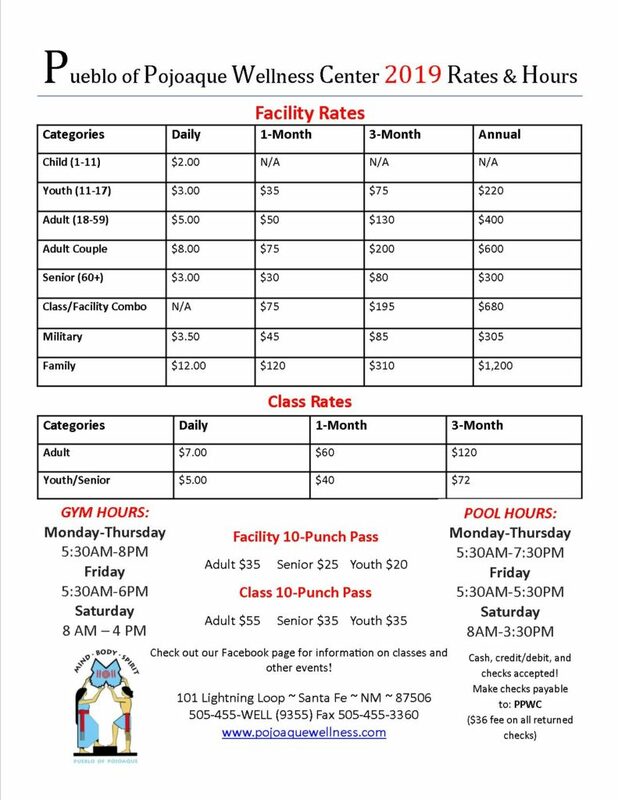 Although the Wellness Center is on tribal land and owned by the Pueblo of Pojoaque we keep the facility open to the general public so all who desire optimal mind, body, and spirit healing can build a better quality of life. We believe strongly in fostering a sense of community by hosting events, (youth sports camps, fun runs, educations workshops, tournaments, etc.) to encourage connections and social wellness, by providing all the working equipment you need for physical fitness, and our location enjoys the quietness of the land, surrounded by natural beauty, so you can find balance and get centered spiritually. This is why we’re known to be “The Most Affordable, Accessible, and Adventurous Wellness Center In Northern New Mexico.” Become a member of Pojoaque Wellness Center and you’ll experience a transformation to a new lifestyle where you can have fun new experiences, renewed health and vitality, and a place to nurture old friendships while making new ones for optimal wellness. We make if fun & easy to have a healthy lifestyle. At the Pueblo of Pojoaque Wellness Center we also make it easy to take the “first step” and create a better quality of life. First, come and take a complimentary tour of our health & wellness center. 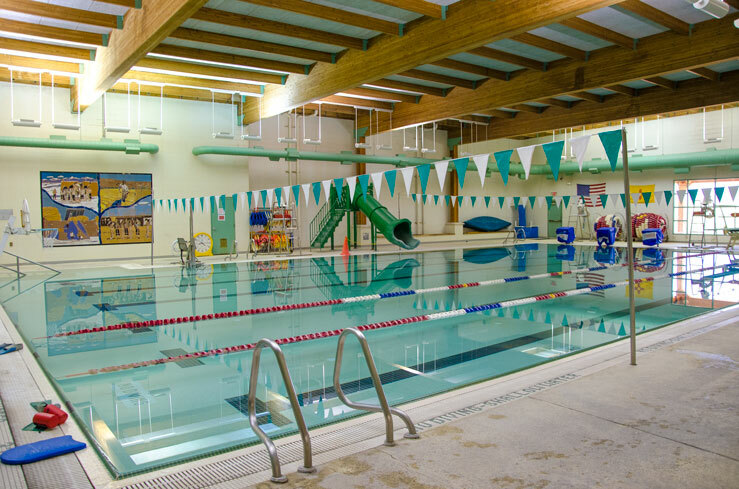 In the Aquatics Center you can enjoy a pool area appointed with a 25-yard, multiple-lane lap pool, diving boards & diving blocks, a shallow heated therapy pool looking into the majestic Sangre de Cristo mountain views, a hot tub, and one co-ed dry sauna. In the full-sized Gym, you also get a multi-use court, which can be used for basketball, volleyball, or other activities requiring a lot of space. 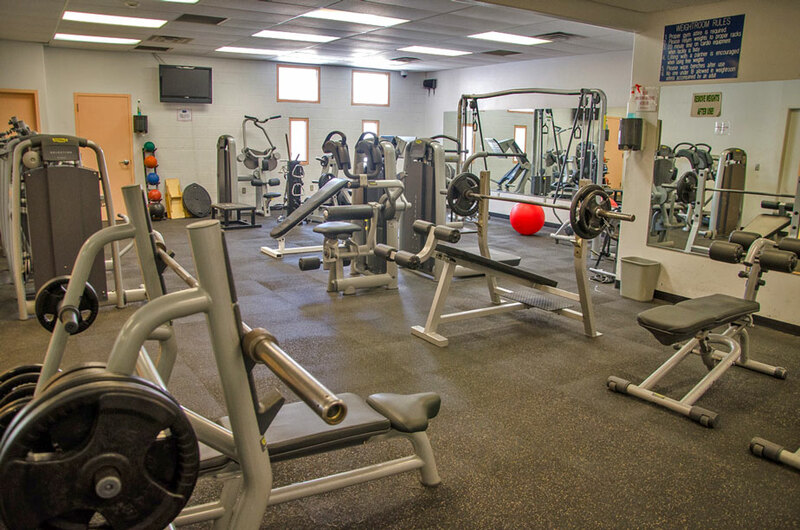 The Weight Room has free weights, barbells, dumbbells, & other machines to exercise every muscle at every angle. While the Cardio Room has treadmills, steppers, elliptical machines, stationary bicycles, TVs, and other equipment. Want to try something new? Then try out the fun sport of racquetball. We have four glass Racquetball Courts. Are you really adventurous? Then give gymnastic a try. We have Gymnastic Equipment and work out area, in addition to an open aerobic studio for any group classes or educational workshops. In front of the Pojoaque Wellness Center is a full size track n’ field. It has a multiple lane running track and sports field for soccer, football, or any other field sports you’d like to organize. Adjacent to the track are several dirt trails with stone paved stairways to enjoy the valley’s panoramic views. As you can see, we have you covered with whatever you need to improve your health & wellness. This is why we are known as the “Most Affordable, Accessible, & Adventurous” health & wellness center in Northern New Mexico. Gymnasium, Weight Room, Cardio Room, Racquetball Courts, 25-Yard Pool, Therapy Pool, Hot Tub, and Sauna all available for one low price! Daily, Monthly, or Annually, we have the price for you! Time for you to experience the vacation you’ve been longing for! Keep up with Pojoaque Wellness Center upcoming events, activities, and other happenings through our newsletter.